To get started first navigate to Data -> Data Sources in your company. 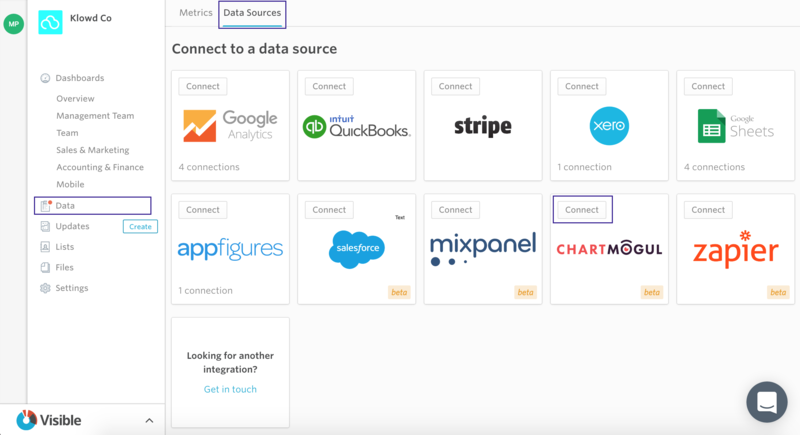 Find the ChartMogul integration card and click connect. You'll then want to navigate to ChartMogul in a separate tab and go to https://app.chartmogul.com/#admin/api to get your Account Token and Secret Key. Enter your respective Account Token & Secret Key in the modal on Visible and then click Continue. 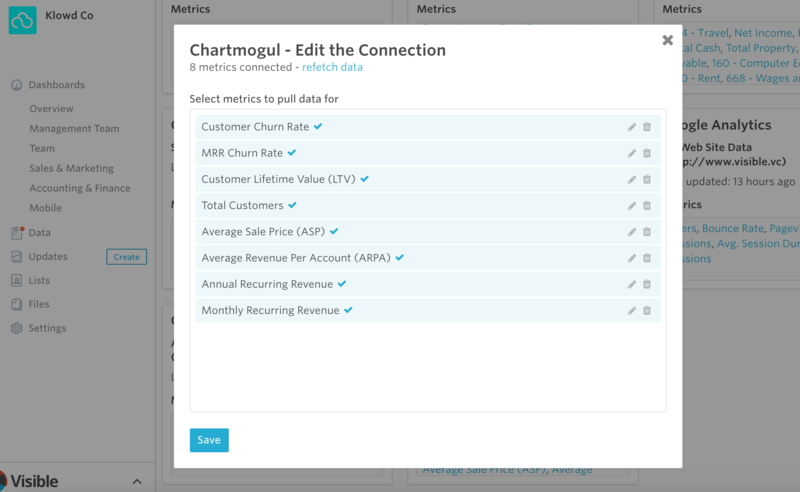 We're working with ChartMogul to bring in even more. Once you select the metrics you want just click Continue. We will get all of the historical data from the account and refresh it every night. Note: With some metrics like MRR and Total Customers we default it for chart to show the Last value for a particular reporting period. E.g. if MRR was $1000 on January 30th and $1,100 on January 31st and you were charting the data monthly, we would show $1,100 for MRR for January and not add together MRR values.